As someone who is dairy-free (most of the time), I am always on the lookout for dairy-free ice cream recipes. I always feel a little cheated when I see a recipe that is made up of pureed, frozen bananas. I love bananas. I mean, I love bananas like Manatee loves spinach. It’s a major effort to only eat 1 banana a day. But I still feel cheated when someone tries to tell me that eating frozen bananas is like eating ice cream. And this is why I developed so many real tasting dairy-free ice creams for my cookbook (which I will share in the next few weeks), but I digress. The focus here is how frozen bananas do not equal ice cream. Period. Because of this, I have refused to try any frozen banana treats. Now they have even started making frozen banana ice cream makers and I have to admit that curiosity finally got the best of me. Unwilling to put any time, effort, and energy into them without a sample, I bought these at the store, and gave them a try. I have to say that I was surprised at how good these were. It’s not ice cream, but the frozen banana is sweet and creamy. I could see how in desperation you could will these little treats into being ice cream. With a little peanut butter on the side, I found these to be a great treat that I didn’t feel too bad about eating. 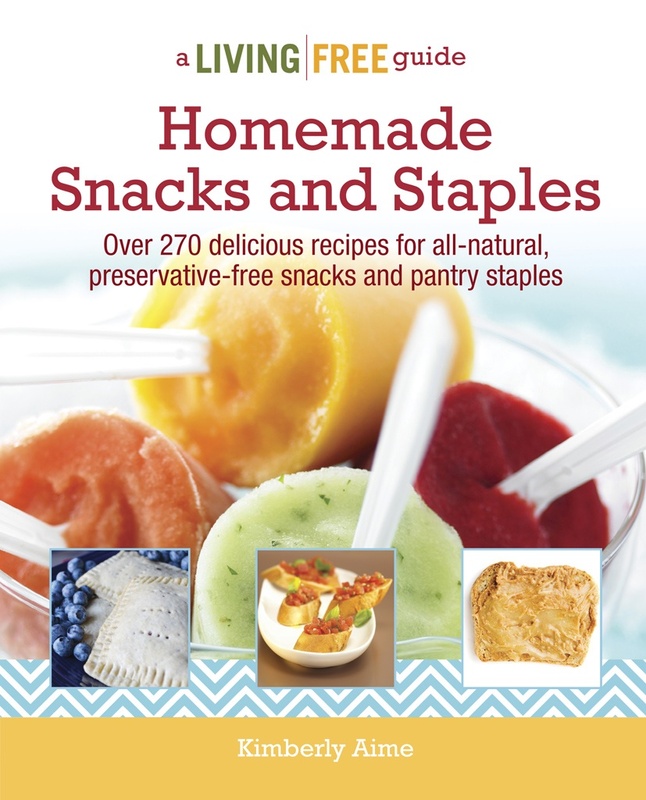 I began to plot on how to make my own and I’m pretty happy with how they taste and I would love to hear your feedback on streamlining the process. You will notice the pictures diminish as we move into chocolate dipping phase. I think I had more chocolate on me than the bananas. Let’s start with pics and I will share the recipe at the end. 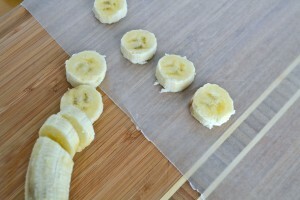 Slice 2 ripe bananas into slices. Spread peanut butter on top of slices, creamy or chunky, or both. I’m not going to lie, I’m partial to chunky peanut butter. 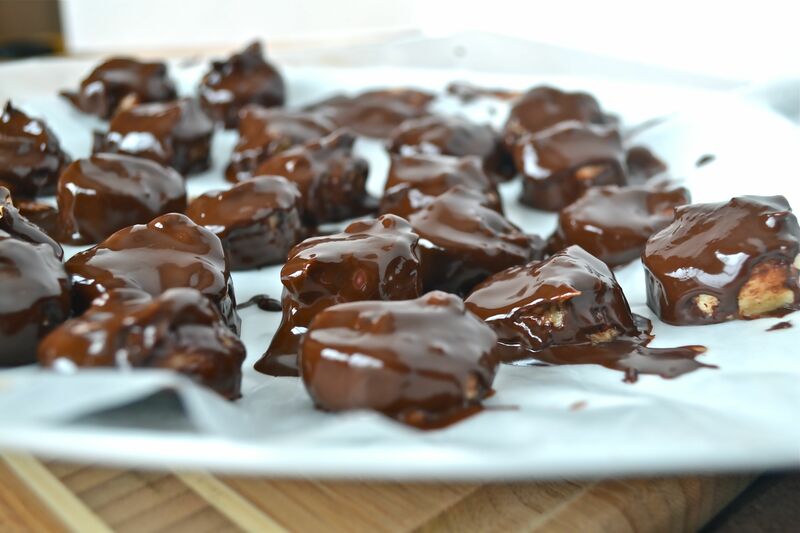 Break up a 4-ounce dark chocolate bar into squares. Look for chocolate that is at least 70% or greater cacao. To melt the chocolate, I prefer using the microwave but you could also use a double boiler. Start at about 30 seconds, then heat it for 10-15 seconds, stirring between each time. Watch closely and melt until the chocolate is smooth. 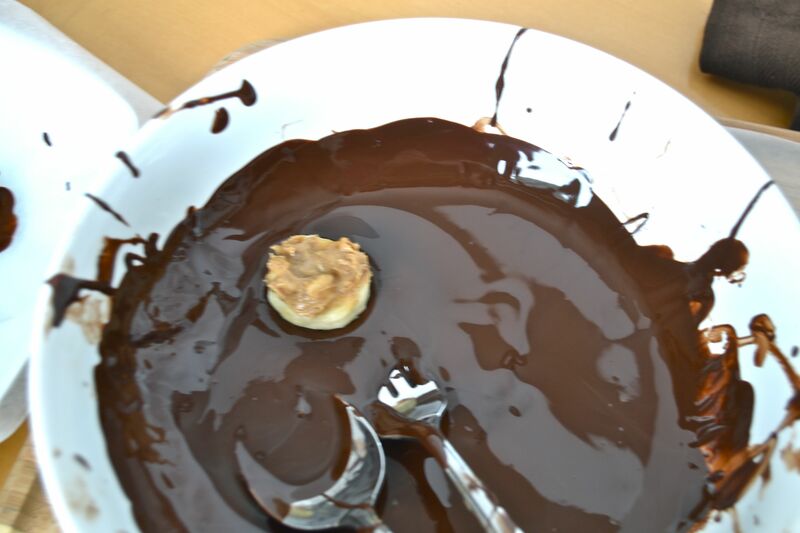 Here is the tough part: use the spoon to dunk the banana slice into the chocolate and then using a combination of the spoon and your fingers, flip it over and make sure the slice is totally covered. Use the spoon to remove it from the chocolate and set it on the wax paper. P.S. Using the fork was a complete and utter disaster. You can set the chocolate-covered slices close together but they shouldn’t be touching. Place the bites into the freezer for 4-6 hours until frozen. 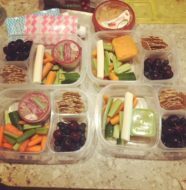 Remove from plate and transfer into a zipper lock bag or an airtight container. A frozen, creamy, and low-fat treat. The King would definitely approve. 1. 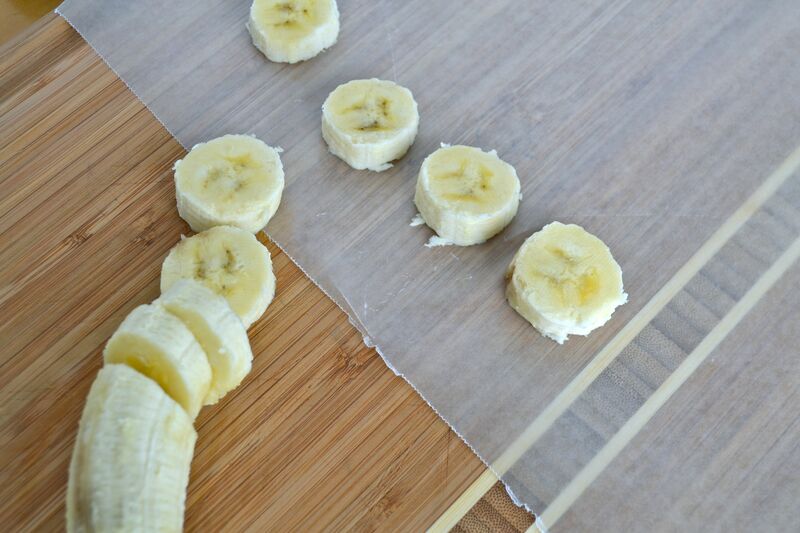 Slice banana into [1/4] to [1/2] inch slices. Discard ends. 2. 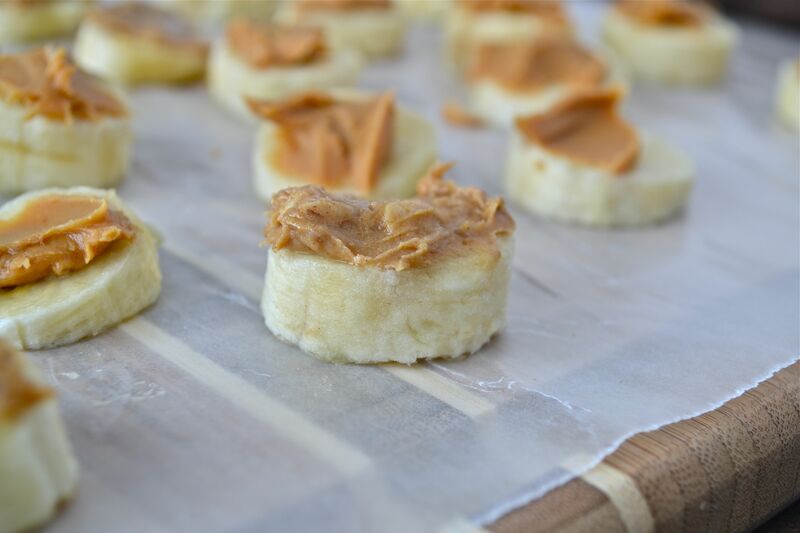 Spread approximately [1/4] to [1/2] teaspoon peanut butter on each slice. Place on wax paper. 3. Melt chocolate in microwave-safe bowl in the microwave. Start at 30 seconds, stir, and then heat for 10-15 seconds and stir. Continue heating at 10-15 second intervals and stirring until chocolate is smooth and melted. Keep a close eye on the chocolate! 4. Using a spoon, dunk the slices in the melted chocolate, and flip it over in the chocolate. Make sure the slice is fully coated and place slice on wax paper. Repeat with remaining slices. 5. Place wax paper on a cookie sheet or plate (whatever fits in your freezer) and freeze for 4-6 hours. 6. Transfer slices to a zipper lock bag or an airtight container. 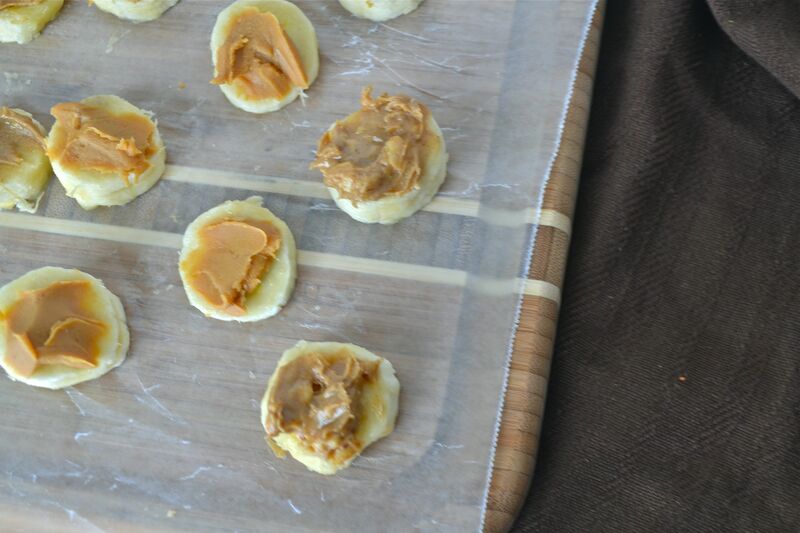 If you are not a peanut butter fan, substitute your favorite nut butter or omit completely. Look for chocolate that is 70% cacao or higher. While I admit that these are not ice cream, they are decadent. 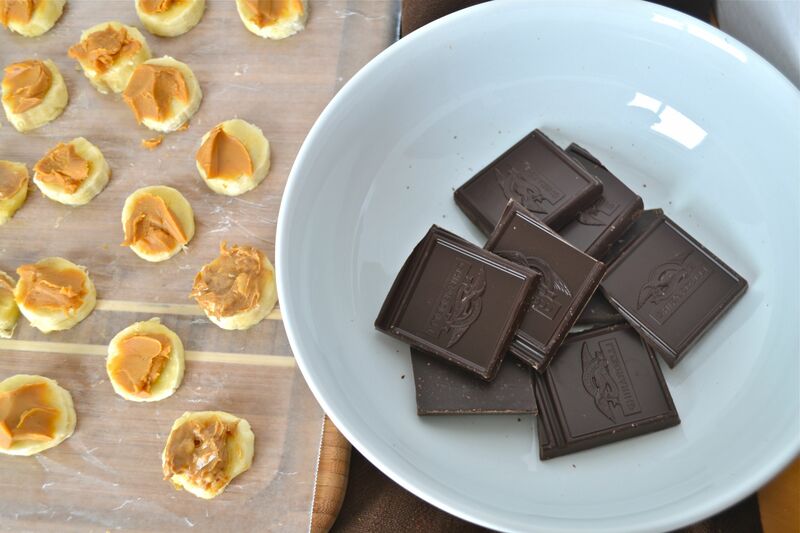 Creamy banana paired with salty peanut butter encased with rich, dark chocolate. Yes, I think these will definitely take care of my pregnancy cravings. 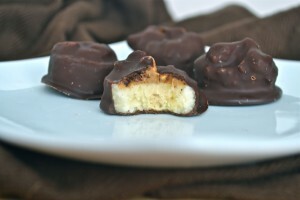 I would love to make these a little easier to make and reduce the amount of chocolate. 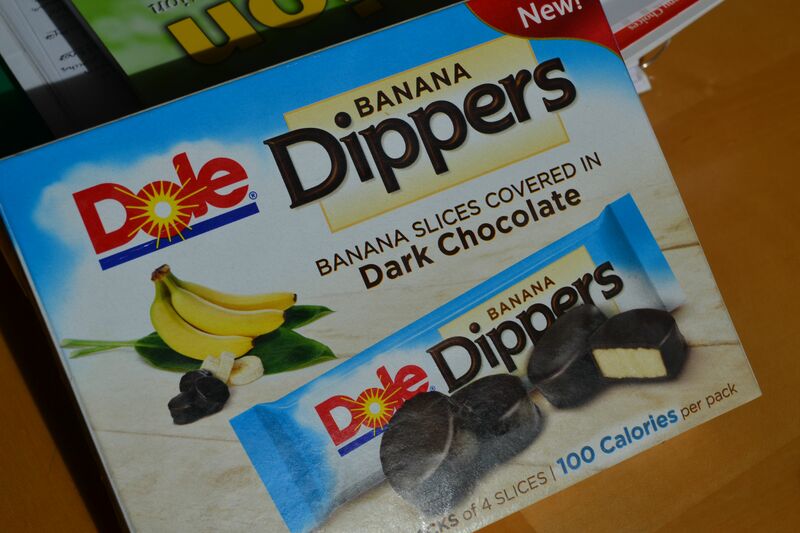 Since the whole dipping bananas in chocolate is new to me, I would love to hear your ideas. 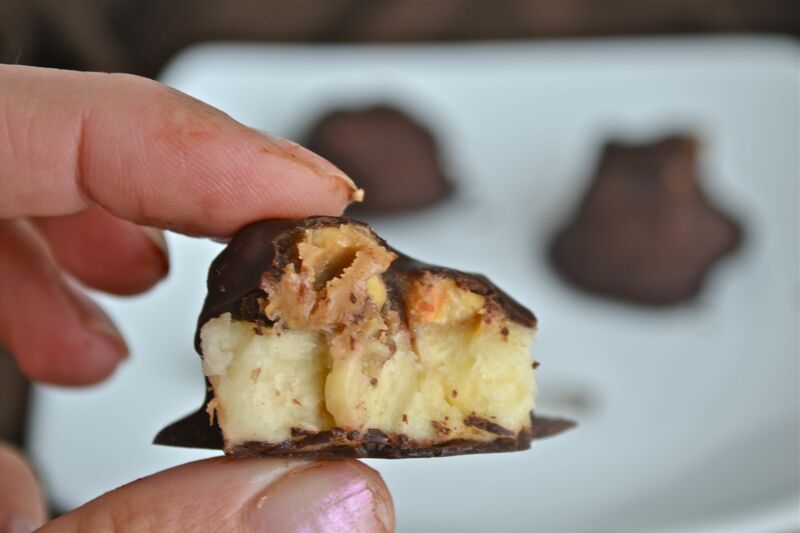 Have you ever made chocolate dipped bananas? 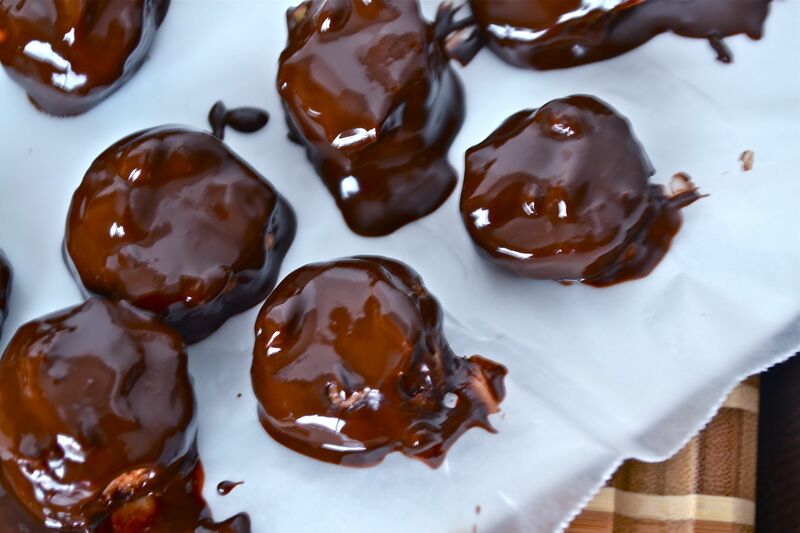 Do you have any ideas for a better way to encase these bananas bites into the ooey gooey chocolate? This is not to say that i don’t think you should run to your kitchen and make these right now, because I do. Get off the computer, grab those bananas, and start slicing. You won’t be sorry. So you have a little chocolate on your fingers? There are much worse things that could happen. Trust me. 194 Comments on "Skinny Elvises or Peanut Butter Chocolate Banana Bites"
These banana chocolate bites look delicious! 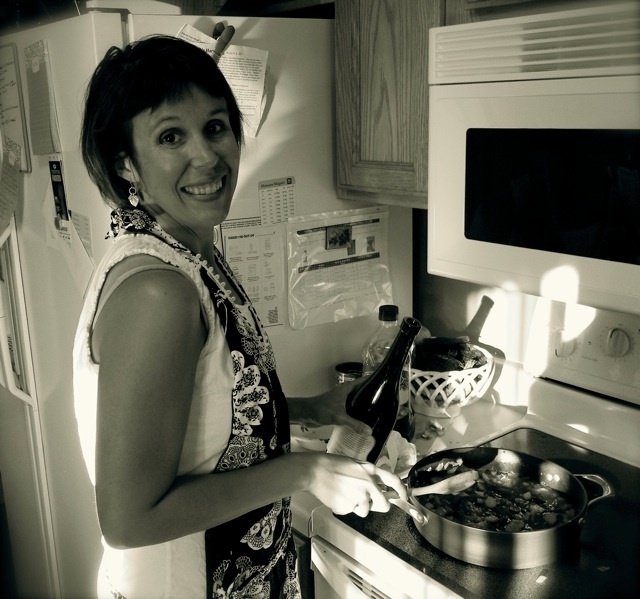 Saw your blog over at Mangoes and Mojitos and thought I’d drop by…enjoyed what I’ve seen so far and sure plan to explore your posts further! I plan to use pb2 to make these a bit lower in fat and calories. I’ll freeze them after applying the prepared pb2 and then dip in chocolate. I’ll let you know how they turn out! I love frozen bananas — especially the ones with dark chocolate and almonds. 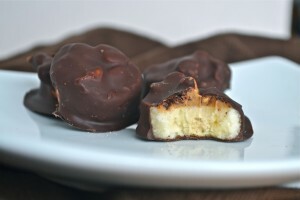 I must make these immediately. Can I simply just say what a comfort to uncover somebody that really knows what they are discussing on the internet. of your story. I was surprised you’re not more popular given that you surely have the gift. I simply couldn’t go away your website prior to suggesting that I actually loved the standard info a person provide in your visitors? Hi! I could have sworn I’ve been to this site before but after browsing through some of the post I realized it’s new to me. Anyhow, I’m definitely glad I found it and I’ll be bookmarking and checking back frequently! Genuinely when someone doesn’t understand then its up to other visitors that they will assist, so here it occurs. subjects you write in relation to here. Again, awesome website! uzpsmtp,Definitely believe that which you said. Your favourite justification appeared to be on the net the simplest thing to remember of. xtdscgpsanc,Definitely believe that which you said. Your favourite justification appeared to be on the net the simplest thing to remember of. articles or reviews, except this blog provides feature based content. achievement you get admission to consistently fast. like yours take a large amount of work? I’m completely new to operating a blog however I do write in my diary on a daily basis. own experience and thoughts online. Please let me know if you have any kind of suggestions or tips for brand new aspiring blog owners. ppqvokhnr,A very good informative article. I’ve bookmarked your website and will be checking back in future! topic of my presentation subject matter, which i am going to deliver in institution of higher education. bulhjzudnw,If you are going for best contents like I do, just go to see this web page daily because it offers quality contents, thanks! evtknkfbb,Thanks for sharing this recipe with us!! or understanding more. Thanks for fantastic information I was in search of this information for my mission. out a lot. I’m hoping to give one thing again and help others like you aided me. I used to be recommended this web site by means of my cousin. I’m not positive whether this post is written by means of him as nobody else recognize such distinctive approximately my trouble. Hey outstanding blog! Does running a blog similar to this take a massive amount work? simply needed to ask. Kudos! about the bottom line? Are you certain about the supply? Excellent website you have here but I was wondering if you knew of any community forums that cover the same topics discussed in this article? hybzeqyv,Thanks for sharing this recipe with us!! more. Thanks for great information I used to be searching for this info for my mission. Hello mates, how is all, and what you want to say regarding this piece of writing, in my view its genuinely remarkable for me. I don’t even know the way I stopped up here, however I believed this publish was once great. I don’t recognize who you are however definitely you are going to a well-known blogger when you aren’t already. Hey there outstanding blog! Does running a blog such as this take a great deal of work? I’ve no expertise in computer programming but I was hoping to start my own blog in the near future. I only use world wide web for that purpose, and obtain the latest information. issues with your site. It looks like some of the written text within your posts are running off the screen. Can someone else please comment and let me know if this is happening to them too? about here? I’d really love to be a part of community where I can get advice from other experienced people that share the same interest. I only use world wide web for that purpose, and get the most up-to-date news. Just desire to say your article is as amazing. The clarity in your post is just cool and i can assume you’re an expert on this subject. part believe it from numerous numerous angles. Its like women and men don’t seem to be interested until it is something to accomplish with Girl gaga! UVOyTo Say, you got a nice blog article.Really thank you! Cool. that you are doing any unique trick. Also, The contents are masterpiece. It’s awesome to pay a visit this web page and reading the views of all colleagues regarding this piece of writing, while I am also zealous of getting experience. talk about such topics. To the next! All the best!! the time to talk about this matter here on your website.